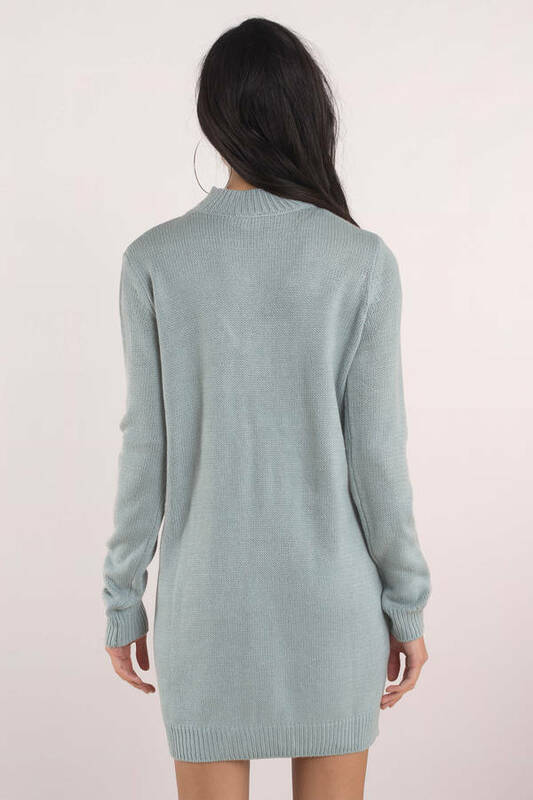 Check out Tobi's Teva Shift Sweater Dress Get all the winter feels in the Vintage Blue Teva Shift Sweater Dress. 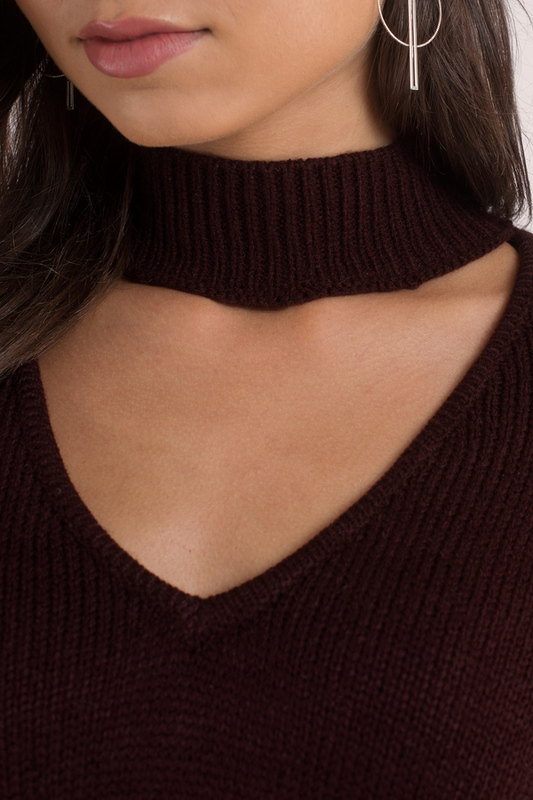 In a chunky knit with a ribbed hem and cuffs, the thigh length sweater dress has a deep v cut out and a choker neck for a new season update. We love this slouchy sweater dress with thigh high boots. Get all the winter feels in the Vintage Blue Teva Shift Sweater Dress. 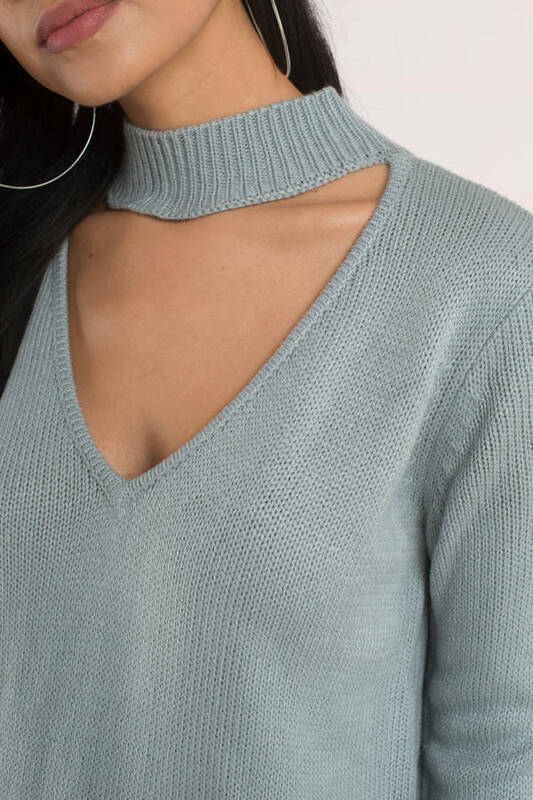 In a chunky knit with a ribbed hem and cuffs, the thigh length sweater dress has a deep v cut out and a choker neck for a new season update. We love this slouchy sweater dress with thigh high boots. 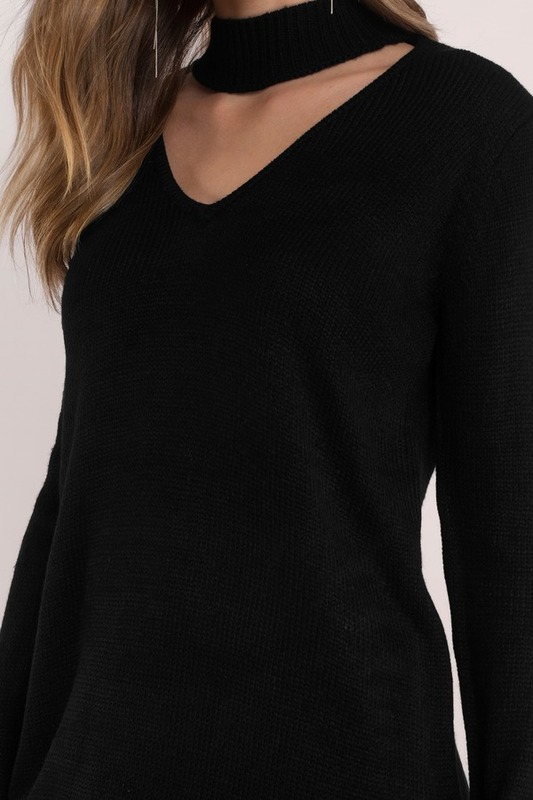 Get all the winter feels in the Black Teva Shift Sweater Dress. 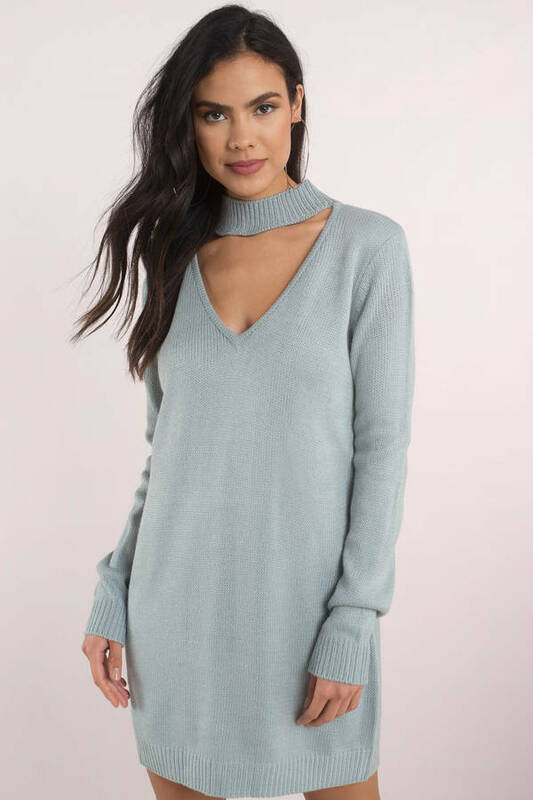 In a chunky knit with a ribbed hem and cuffs, the thigh length sweater dress has a deep v cut out and a choker neck for a new season update. We love this slouchy sweater dress with thigh high boots. Get all the winter feels in the Toast Teva Shift Sweater Dress. In a chunky knit with a ribbed hem and cuffs, the thigh length sweater dress has a deep v cut out and a choker neck for a new season update. We love this slouchy sweater dress with thigh high boots. 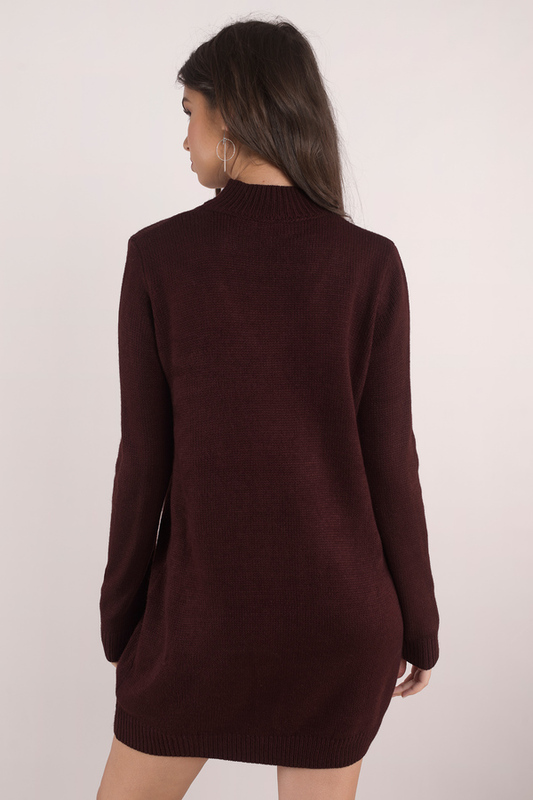 Get all the winter feels in the Wine Teva Shift Sweater Dress. In a chunky knit with a ribbed hem and cuffs, the thigh length sweater dress has a deep v cut out and a choker neck for a new season update. We love this slouchy sweater dress with thigh high boots. Vintage Blue modeled on a size Small.